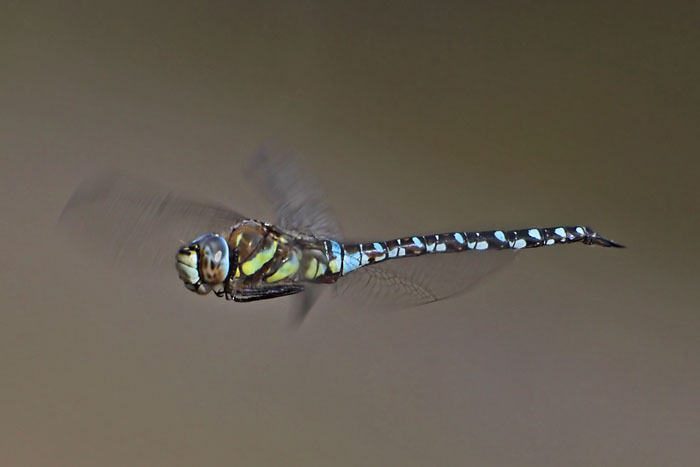 Migrant Hawker, Shellingford Pit, Oxon. These hawkers were showing well today in warm sunny conditions. As ever dragonfly in-flight shots are never easy, but Migrant Hawkers do tend to hover for just long enough to get on to them if the conditions are right. 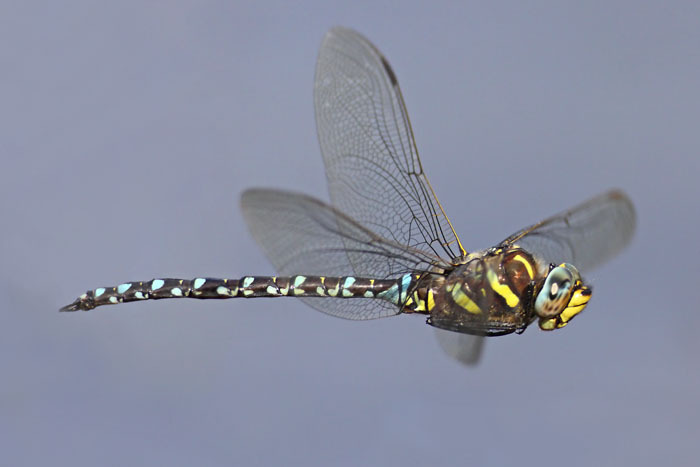 These two pics form a good comparison with the Common Hawker shown below. 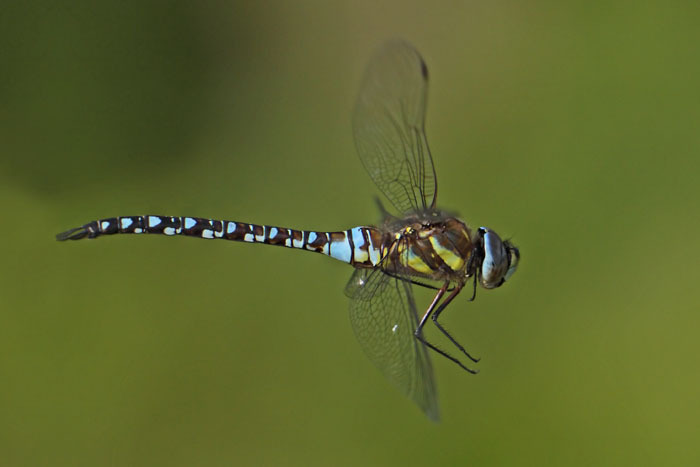 Common Hawker, Timble Ings, Yorkshire. 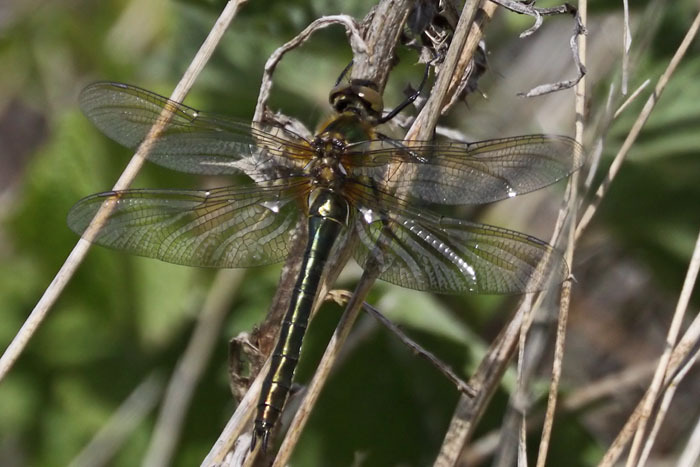 This was my main target at this site, as it was mentioned on the excellent Yorkshire branch of the British Dragonfly Society's website. This shot took some time, as these insects never settled! 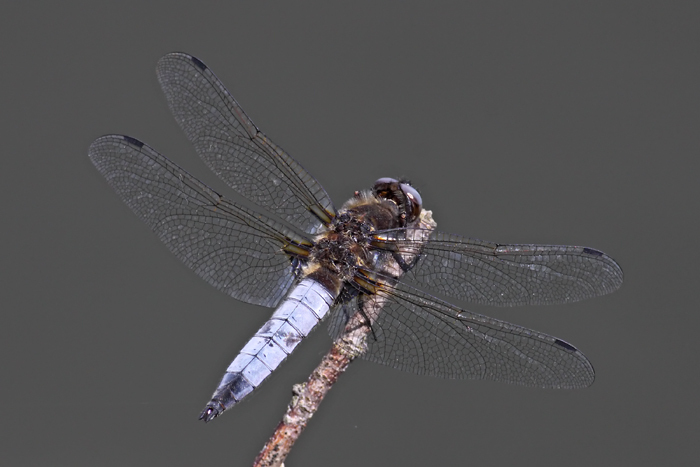 Note the diagnostic yellow costa (line along the leading edge of the front wing) and small yellow marks on the abdomen. 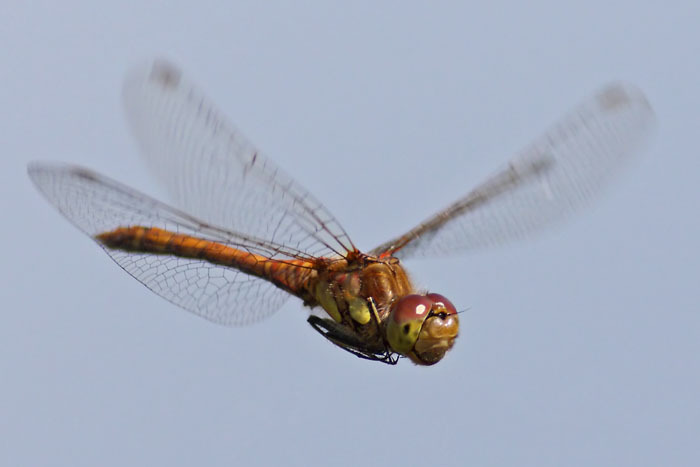 Common Darter, Timble Ings, Yorkshire. 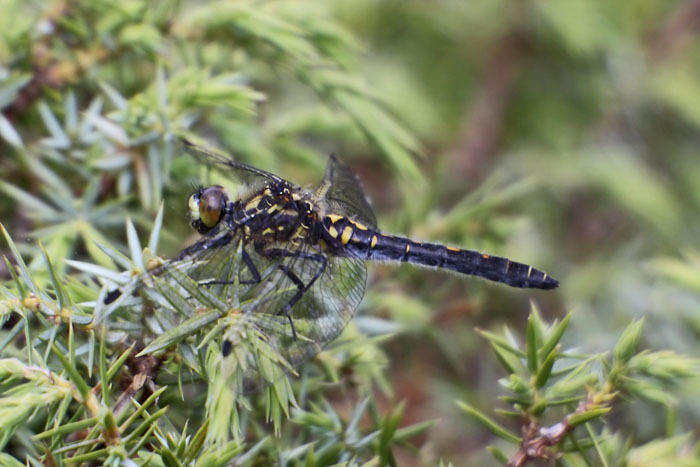 This was a good site for dragonflies, with Common Hawker (above), Brown Hawker, Black Darter and Emerald Damselfly all notable. 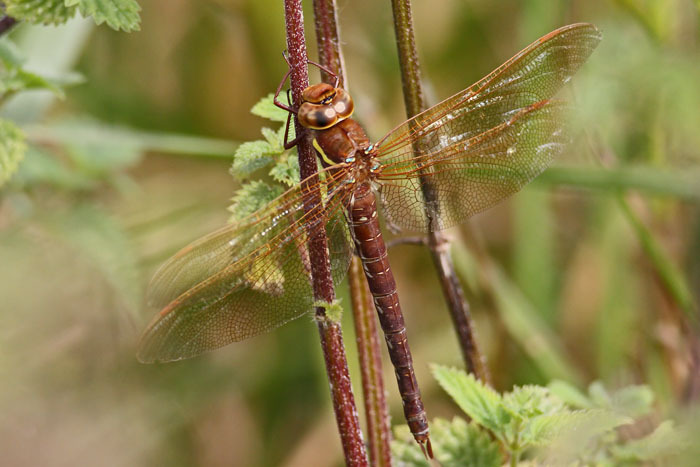 Brown Hawker, Radcot Lock, Oxon. 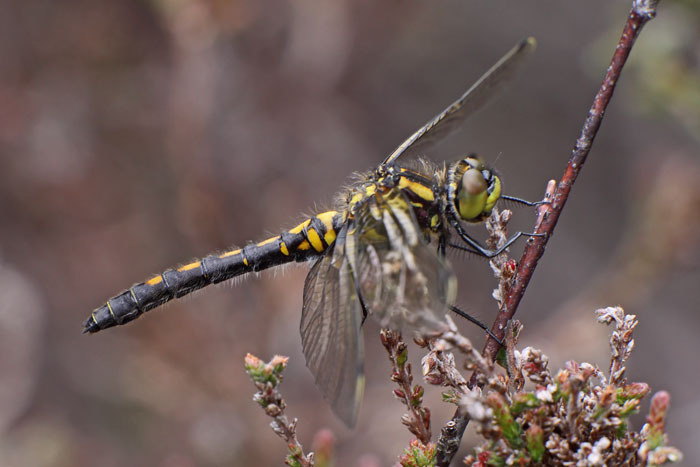 These hawkers are quite difficult to photograph well, and this is worth showing for that reason. They tend to either zoom around all over the place, or be settled deep in vegetation where they are both difficult to see and get a clear shot of. Hence this one taken on a casual walk was something of a bonus. 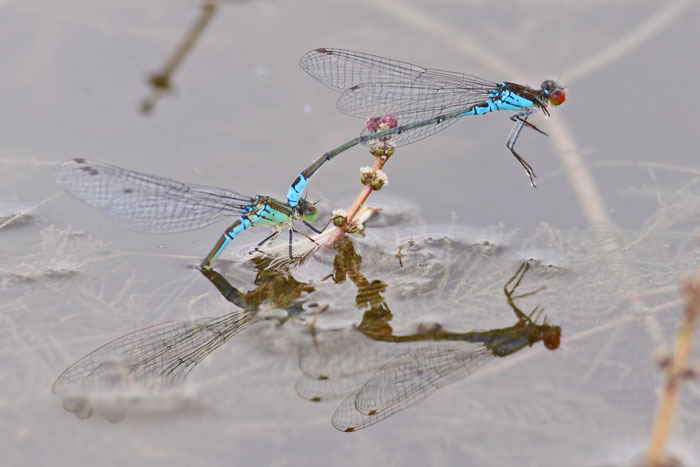 Small Red eyed Damselflies, Shellingford Pit, Oxon. Despite the somewhat mixed recent weather, these were doing well at this site, with at least 10+ present, including several tandem pairs like this one. 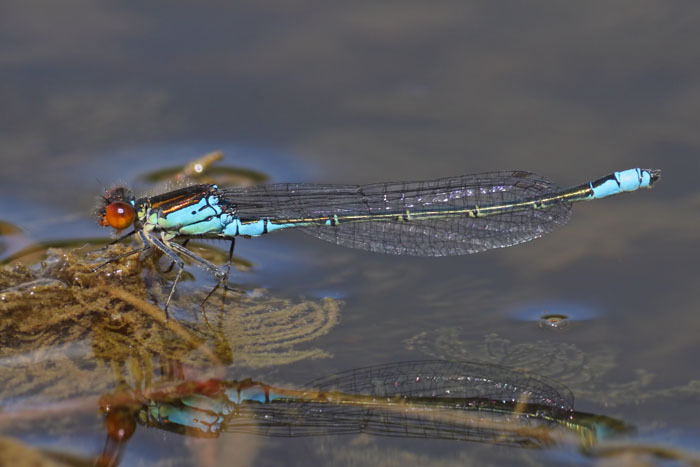 Small Red eyed Damselfly, Shellingford Pit, Oxon. The good weather is clearly having a beneficial effect, with the speciality of this site present in good numbers (5+), quite early in the season. In the poor summer last year, I only found one or two here and then not until mid August. 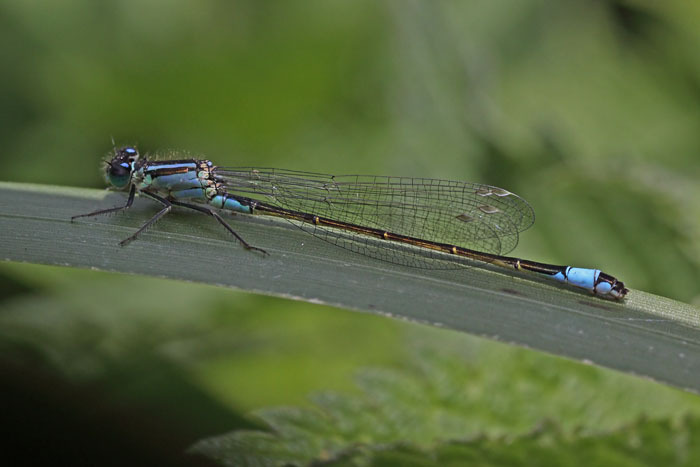 These shots took some persistence as most of these dragonflies were in difficult to access locations on the steep sided river banks. 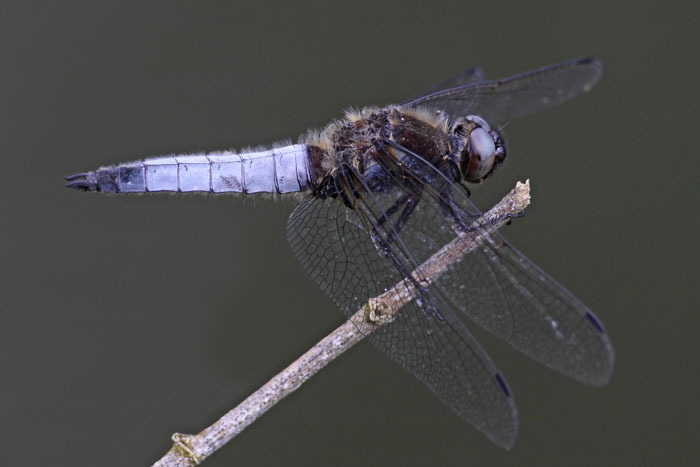 A macro shot while on the Scarce Chaser chase (see above). 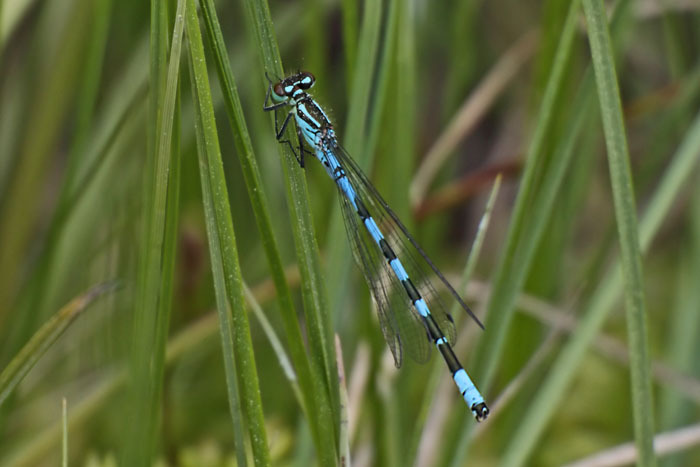 One our rarest damselflies, this was very difficult to distinguish from Common Blues at the same site - only careful inspection of the photographs afterwards revealed its identity! More distant photo than above, but at least this specimen has a white face! An excellent start to the new season with this very obliging, and early rarity. This appears to be the first record since 2004 from anywhere in Oxfordshire. I did however have a possible here last year. Thanks to Peter Barker and Pete Roby for spotting this one flying over my head! 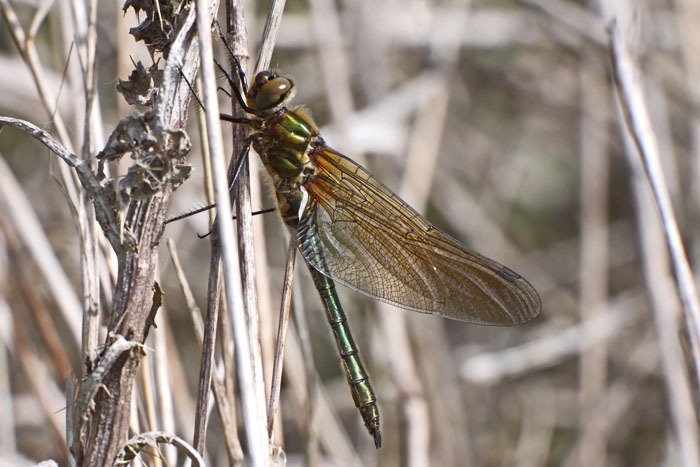 Unusually for a dragonfly, this one preferred to close its wings up, like a damselfly. Perhaps due to the cool conditions? The downy body shows well in this photograph. Click pic to enlarge. An initial hand-held shot from some distance - the only one showing the wings in the 'proper' straight-out mode.